We live in a disposable society. Everything from elaborate packaging to our clothing. Even cell phones are disposable. When replacement is cheaper than repair, the term "built to last" goes by the wayside. An exception is our vehicles. They're still a very big investment and MADISON HEIGHTS drivers want to make them last as long as possible. We also want to make keeping them running as cheap as possible. 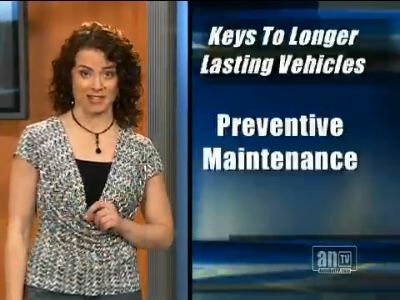 When talking vehicles, it's all about preventive maintenance. There is an old saying that says, "A stitch in time saves nine," and that is really true when it comes to taking care of your vehicle. A great example is coolant service in MADISON HEIGHTS. The same is true for your power steering system, brake fluid, air conditioning system, differential and transmission. And of course, MADISON HEIGHTS vehicle owners shouldn't forget those oil changes right on schedule. Skipping even one change can start the build up of harmful oil sludge. Replacing serpentine belts and timing belts on schedule is much cheaper for MADISON HEIGHTS drivers than repairing the damage that can be caused by failure. Also, air filters, fuel filters, PCV valves and batteries are all important. Regular wheel alignments, tire rotation and balancing will make your tires last longer. And don't forget to replace your shocks and struts when they wear out. Your fuel system needs regular cleaning to keep running well, prevent mechanical damage and improve fuel economy. Now this is a lot to remember for MADISON HEIGHTS drivers - too much, really. But it is your MADISON HEIGHTS automotive technician's job to keep on top of this stuff. At Interstate Auto Care we can tell you what your manufacturer recommends and help you with a plan to take care of it. We can advise you about which maintenance schedule you should use - the regular schedule or the severe service schedule - depending on the kind of driving you do. We also know the right fluids for your vehicle and may even suggest higher mileage formulations for your older vehicle. Most of us in MADISON HEIGHTS can't afford to throw away our car when it breaks down. By budgeting for regular preventive maintenance, we can prevent many inconvenient - and expensive - problems down the road, and can keep driving "old faithful" for years to come.